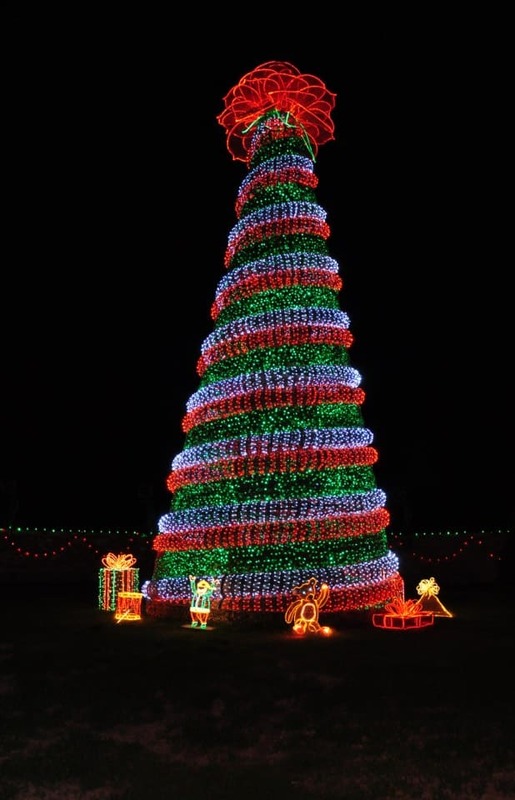 If you’re looking for holiday entertainment, Hot Springs has something for everyone this year! Of course everyone knows about Garvan Gardens’ Holiday Lights, but did you also know they offer a wide variety of concerts and events throughout the season as well? Bob Crane’s art exhibit will be on display throughout November, and December’s exhibit will be fiber art by Darlene Garstecki. The 2012 Jingle Bell 5k Run/Walk will be December 8, which benefits the Arthritis Foundation. Would you rather be entertained by music? Garvan offers too many concerts to list, but check their event calendar to plan your visit around your favorite concert! Many are held in the beautiful Anthony Chapel, which is a “must see” whether you partake of a concert or not. In other parts of town, “A Christmas Carol” will be playing at The Pocket Theatre Nov. 30, Dec. 1, 7, and 9 with matinees on Dec. 2 and 9. As you’re enjoying the lighted trees in Arlington Park (across from the Arlington Hotel), you may also catch various groups and/or soloists caroling in the National Park. On Dec. 2, The Hot Springs Music Festival Chorus will perform “What Sweeter Music” at St. Luke’s Episcopal Church, and the Stardust Big Band will perform at the Arlington Hotel. “Ice on Ice 2012” happens Dec. 6 at the Arlington Hotel. Ice cubes in drinks will win 4 people a 1/2 carat diamond! “The Art of Christmas” will be offered with free admission to the Museum of Contemporary Art on Dec. 9. “It’s a Wonderful Life” radio show version runs Dec. 14-22 at the Five Star Dinner Theatre. The Iron Mountain Christmas Holiday Light Display features outdoor light displays and houseboats decorated for the Man in Red’s arrival on DeGray Lake Nov. 23-Dec. 31. For “foodies”, the Culinary District is offering 3 events to get your taste buds in the holiday spirit. Learn to make “Decadent Holiday Candies” on Dec. 1, and then explore the world of caviar with a tasting event on Dec. 8. On Dec. 15, “Quick and Easy Holiday Appetizers” will help you amaze your friends and family at your next party. As you can see, the Christmas Spirit is alive and well in and around Hot Springs. Be sure to find out what events are happening when you make your reservation for a holiday get-away at Tiffany’s Bed and Breakfast this season!